Syria has submitted the first details of its chemical weapons to the international watchdog charged with overseeing their destruction, the organisation has said. 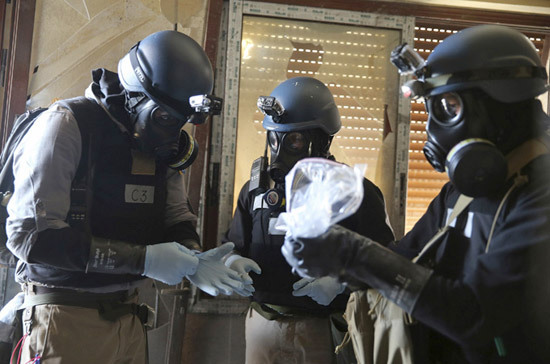 A spokesman for the Organisation for the Prohibition of Chemical Weapons said on Friday: “We have received part of the verification and we expect more. After the Rs 37,000 crore crude oil refinery in Barmer, Rajasthan is set to get the largest single-location solar plant in the world with an investment of Rs 30,000 crore and the announcement of the mega project most likely to come this month. Mexican soldiers dug through tons of mud and dirt Friday in the continuing search for landslide victims, as authorities looked for a federal police helicopter that went missing while carrying out relief operations on the flood-stricken Pacific coast.